Monday, October 17th, was the annual International Day for the Eradication of Poverty. 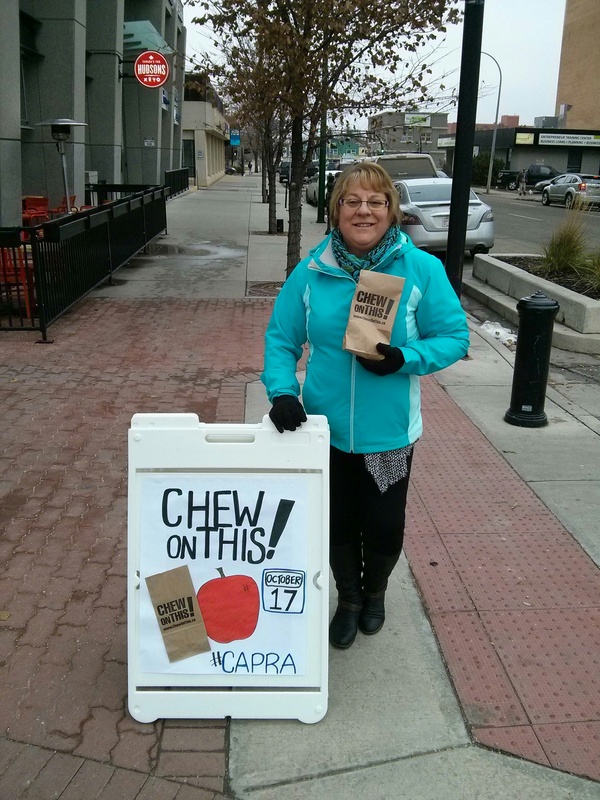 On this day, 5 members of CAPRA, along with City Councillors Frank Wong and Diane Wyntjes, as well as two staff members from the Hampton Inn & Suites, gathered downtown on the Ross Street Patio in Red Deer to bring awareness to hunger in Red Deer. The event, called “Chew on This” was organized by the CAPRA Food Security Action Committee, in conjunction with the Dignity for All, the campaign for a poverty-free Canada. 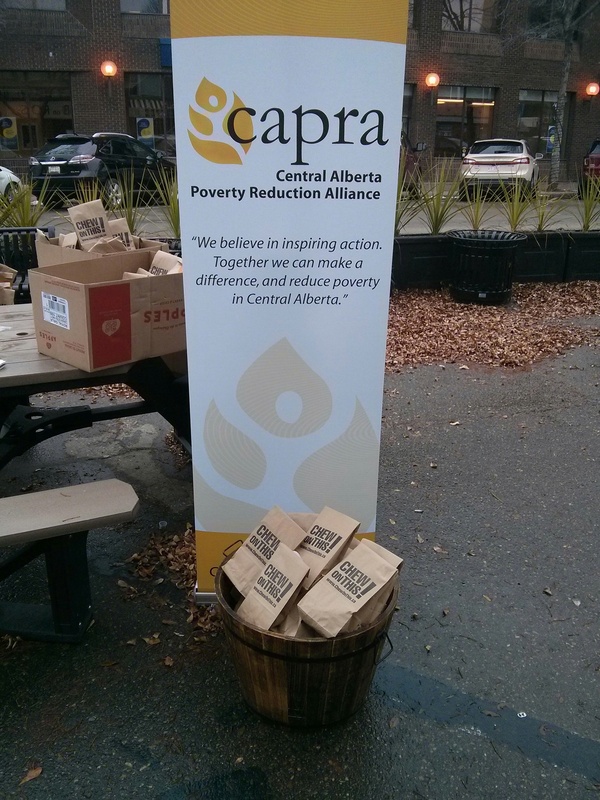 This event, in which over 22,000 brown paper bags containing a snack and information prompting people to consider the realities of poverty and food insecurity, was held all across Canada on Monday, in over 30 cities. Central Alberta has been going through some very difficult economic times, with unemployment standing at 8.6% in September of 2016. “Food is one of the first variables to come out of the budget when times are tough,” says Harrison Blizzard, CAPRA Food Security Action Committee Chair. “Most of us don’t realize how many people here in Central Alberta, individuals, children, and families, are going hungry.” While short term food relief efforts do little to change long-term poverty outcomes, without food, it is impossible to engage in the activities that will improve personal circumstances.